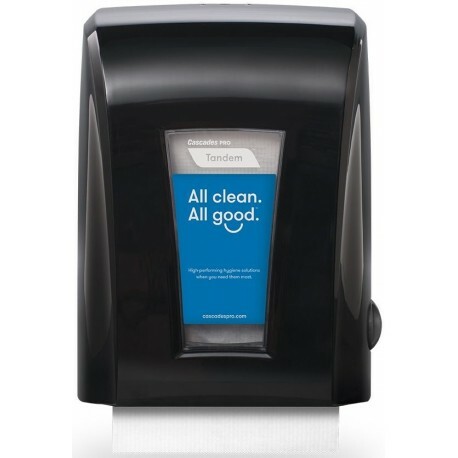 Eliminate cross-contamination with Cascades PRO Tandem™ mechanical no-touch roll towel dispenser. Cascades PRO Tandem™ mechanical no-touch dispenser reduces labor cost and consumption with single sheet dispensing. The stylish black design and convenient see-through window make it easy to see when it's time to reload. 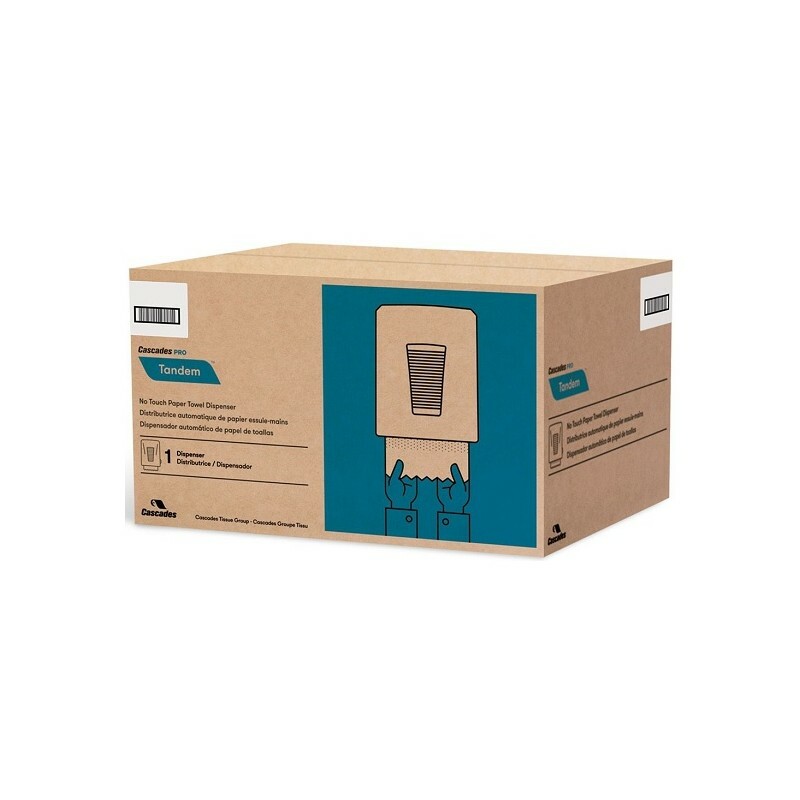 The built-in stub roll feature diminishes unused paper waste by finishing the first roll before seamlessly transitioning to the next. Customize your window insert by using our free online design tool, OnDisplay™.